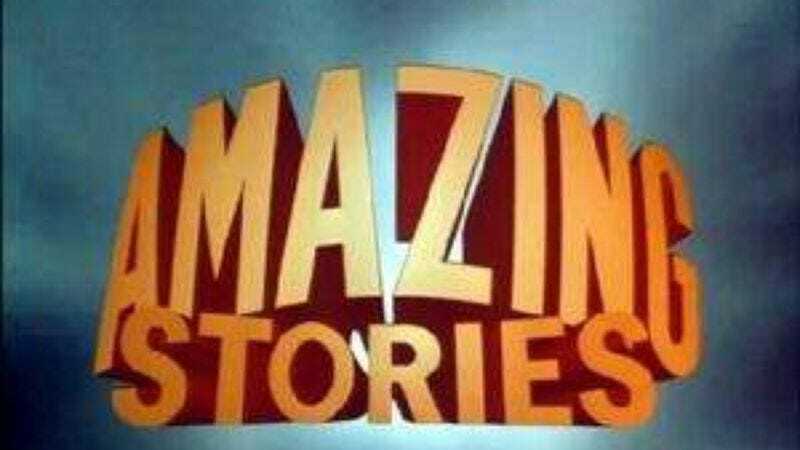 Produced by Amblin Entertainment, the original Amazing Stories ran from 1985 to 1987, garnering five Emmy Awards during its two-season run. Eschewing the strict genre limits of horror anthologies like The Twilight Zone or Outer Limits, the series bounced from horror to science fiction to fantasy, tapping Spielberg’s Rolodex of famous acquaintances—including Clint Eastwood, Martin Scorsese, and Gremlins’ Joe Dante—to helm an episode apiece. Spielberg won’t be involved with the new series, sadly, although Amblin is still producing. Even so, the thought of a visually oriented fantasist like Fuller—whose previous credits include plenty of high-concept, anthology-friendly ideas like Dead Like Me and Pushing Daisies—getting his hands on a platform like this, is exactly the sort of sumptuous bait to lure Fuller—and us—back into the waiting jaws of NBC’s next heart-breaking cancellation trap.